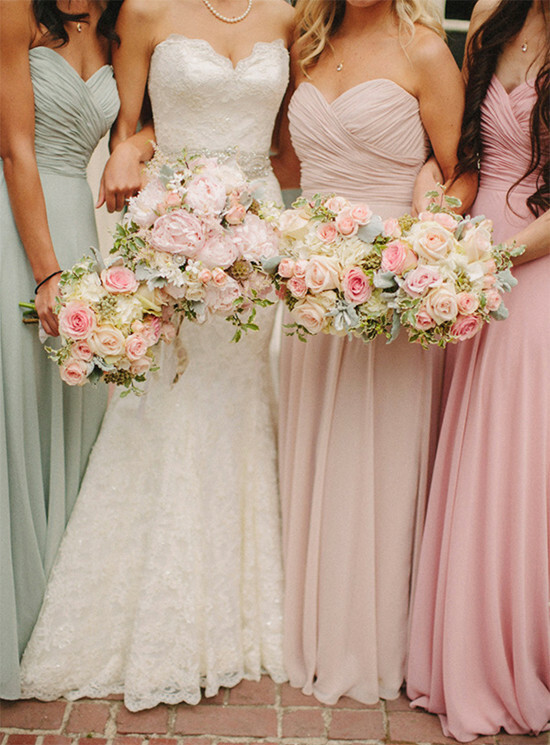 Found a look on Pinterest or a wedding blog that you love? Are you having trouble figuring out how to replicate the look? Recently a reader had this very problem, and lucky for her we love scouring the internet and figuring out how you can replicate looks you see. In fact we will break down the entire look for you from the dress to the hair and shoes to the bouquet! 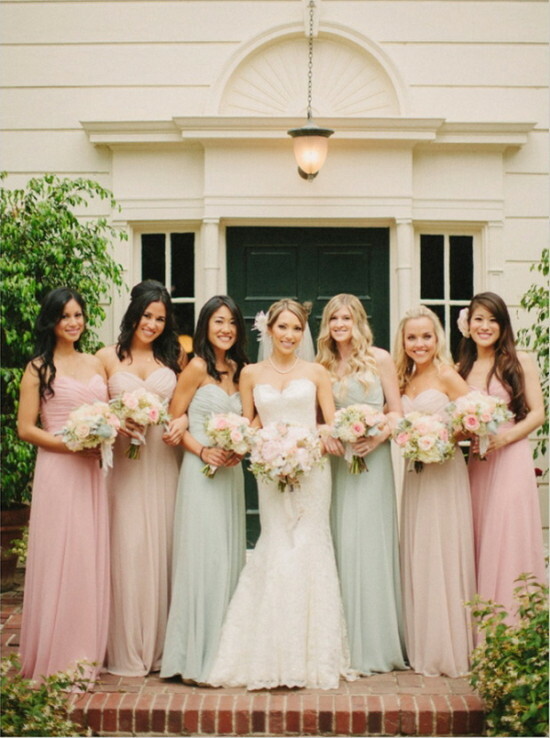 See the entire Mint and Pink wedding here photographed by Matthew Morgan Photography. Julie K - licensed NYC nail artist is redefining the wedding nail with Essie's "tying the knotie" with equal parts silver "set in stones" and rose "summit of style" at the tip. 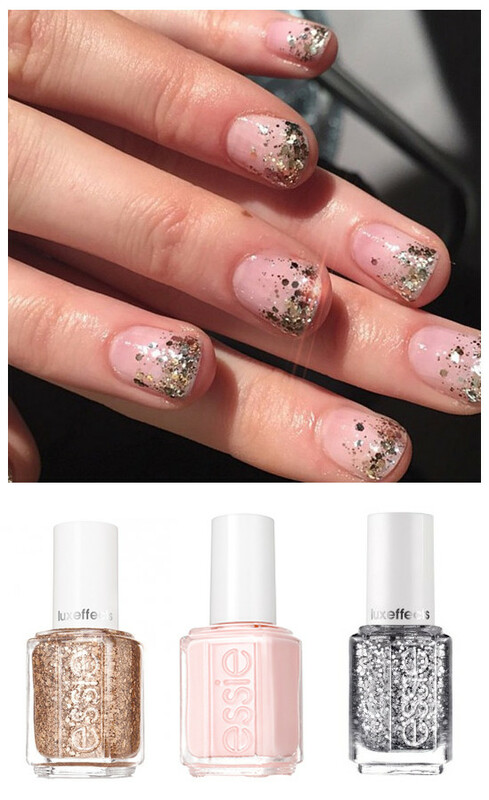 Now you have the exact NAIL-CIPE (nail recipe) to share with your bridesmaids. 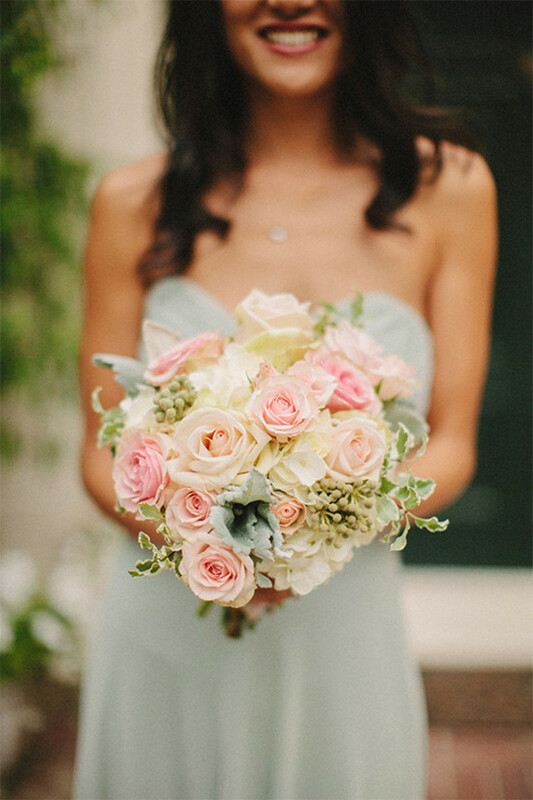 Kate Baker Floral Design created this romantic bridesmaid bouquet wrapped in lace. Overflowing with white roses, esther light pink roses and lisianthus white flowers. Green brunia, pittosporum and lamb's ear were used as filler. 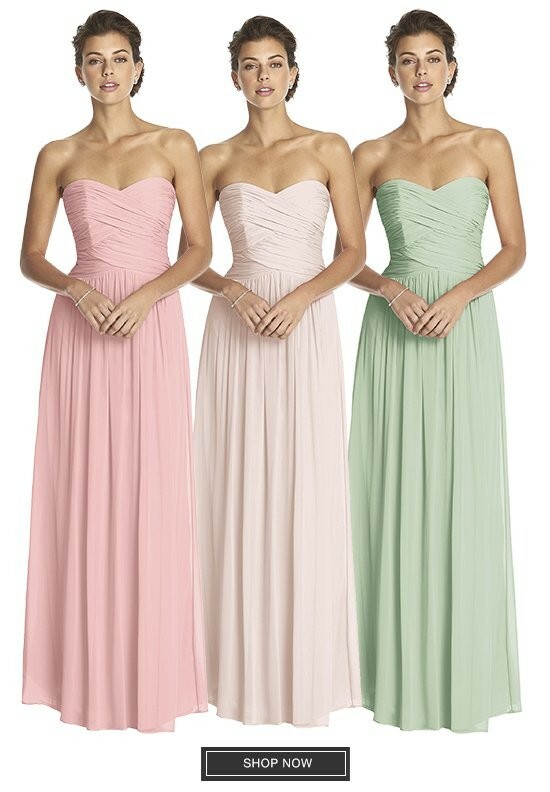 It blends perfectly with all the bridesmaid dresses, whether they are blush, rose or celadon.